A small nonprofit whose work was receiving positive community attention was suddenly resistant to its CEO’s most recent proposal, according to a staff member I encountered. The Board, a conservative one, was unwilling to provide leadership for a proposal that would move the organization in a somewhat new direction in assisting community clients. The CEO and staff provided arguments that showed ample need for the program’s services and even access to sufficient financial support. Yet, the Board had rejected the suggested foray into moderately uncharted waters. how the poorest decisions have affected outcomes and employee turnover. sitting somewhere on the shelf? 2.Seek allies: Review the above data with board members and managers who might be prospective supporters of the project. Without several influential allies, the outlook is dim. The board members might come from the group which voted for the proposal. Try to identify potential funders who may have a particular interest in the program; encourage them to bring in others who may wish to participate in the new endeavor. partnerships if, in fact, they are agreeable. 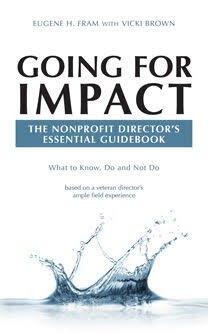 Trying to change the consensus or a majority vote of a nonprofit board is extremely difficult. When a CEO proposes a program which can enhance the nonprofit’s growth and contributions to clients albeit expand its reach, I feel it is better to try to reverse the board’s consensus or vote than call for the CEO’s resignation or more other dramatic protest. With the right process, there will be significant rewards.